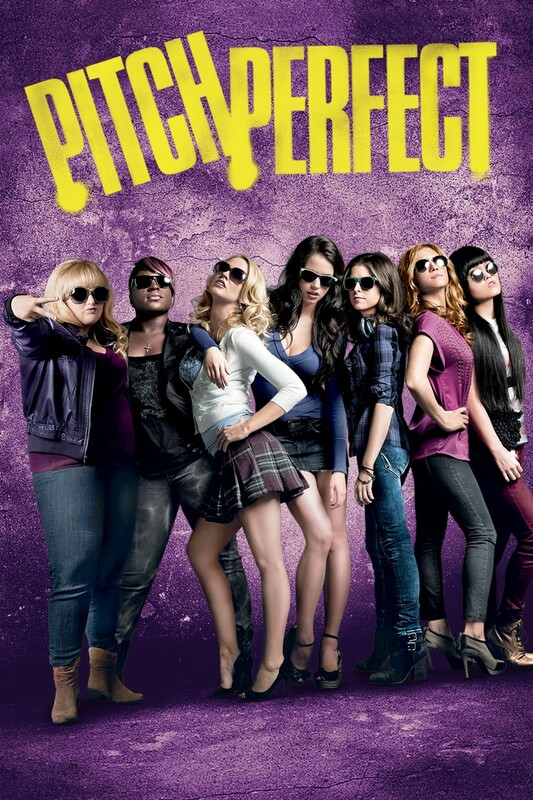 Last night I watched Pitch Perfect (2012) by former musical director Jason Moore. After a busy weekend me and Sarah were tuckered, so we decided to go for some easy entertainment. With The Pebble Anna Kendrick - she's friggin' hilarious, go follow her on Twitter and Instagram! -, Project X bombshell Alexis Knapp, and Bridesmaids breakout Rebel Wilson in it, I was sure to be getting something out of this. Kendrick is my spirit animal, Knapp is a celebrity crush of mine, and Wilson's uncomfortable improv comedy is right up my alley. Let's aca-find out what this musical comedy is all about beyond Fat Amy's hit quotes. Beca (Kendrick) wants to pursue a career in music in LA. Forced to attend college by her father (John Benjamin Hickey), a professor at the university, she skips classes and hides under her headphones. She is then offered a proposition: if she joins a club and still does not want to remain at college after one year, he will allow her to leave school. After some persuasion from Chloe Beale (Brittany Snow), the co-leader of the Barden Bella's, Barden University's all-female acapella group, she reluctantly joins the group. The rag-tag crew, consisting of Cynthia-Rose (Esther Dean), Stacie Conrad (Alexis Knapp), Lilly Onakuramara (Hana Mae Lee), and Fat Amy (Wilson) has to discover its identity if they want to defeat The Treblemakers. Sure, Pitch Perfect might be cheesy, comfy and unsurprising but, above all, it is an irresistably likeable comedy shouldered by Kendrick & Wilson. The fun formula of humor and acapella mash-ups of Top 40 pop songs is hard to hate, offering a good time despite its formulaic plot and certain missed notes. Pitch Perfect might be Hollywood featherweight, but it is still a ton of fun, bringing the geeky world of collegiate acapella competitions to the silver screen in a way that will legitimately put a grin on your face. Aca-awesome.